There are probably worse ways to live. For one reason or a thousand, I can’t grasp grace. It’s beautiful. It’s undeserving. It’s hope-filled. One thing I know about grace is that it meets us where we are. A few years ago, I was having one of those days. Well, really it was one of those seasons. I was exhausted. Depressed. Lost. Burned out. Lonely. On this particular day, I had been up since 4 AM, which shouldn’t be a real thing and I still had not consumed coffee by 10 AM. It was a miracle that I was functioning. I wiped the tears from eyes and began to pray. My words were scattered; I couldn't make sense of what I was saying, but if God hears our prayers I believe he can decipher their meaning. I begged for God to remind me of who He was in my life. I needed something to hold on to. Something more than coffee, but also coffee. I said Amen and stepped into the frigid cold. My hands trembled and my lips tightened. I whispered through my chapped lips “I hate the cold.” The aroma of coffee hit my nose as I stepped into Starbucks, a saving scent. I went over my order in my head as I stepped to the front counter. The barista had her back to me when I approached the counter. I waited for a few seconds before she turned around. “Hey! Welcome to Starbucks! What can I get started for you?” she asked. My eyes locked with hers and then I glanced at her name tag. Grace was waiting for me. Grace greeted me with a smile. Grace met me right where I was. “How's your day going?” asked Grace with a smile. Her smile swung across her face. I wondered if she could see the exhaustion I wore on mine or if it looked like I had just finished crying, because I had. I wanted to be honest with her, but I kept it short. “It's been a day. Yeah, it’s been a day.” I said. Grace responded as she handed me a warm, white paper cup full of nectar. I carefully handled the cup of coffee as if it was my first-born. The first sip of coffee (even if is Starbucks) is always a fresh reminder that everything is going to be okay. I sat down for a few minutes before stepping out into the cold. My mind ran with words, fumbling, falling, and searching for something to hold on to. It was more than thinking, it was a conversation with God. I can't remember what I said, but I remember getting up and walking back to the car with energy. Sure, the coffee was working, but it was more than coffee, it was hope. 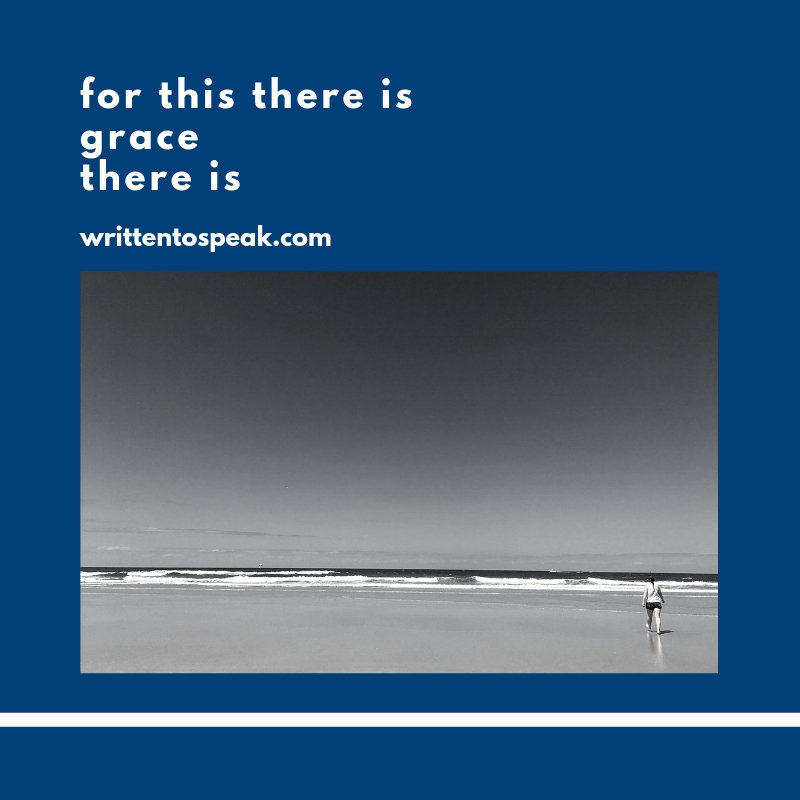 Grace gives way to hope.